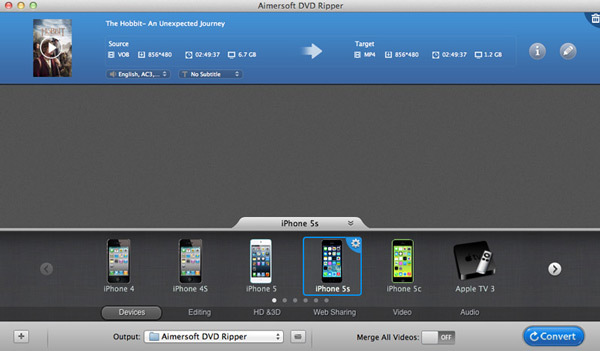 Ripping DVD with Aimersoft DVD Ripper on your Mac is super easy, just follow the tutorial below to rip DVD and edit the ripped videos. If you are a Windows user, please go to Windows version tutorial. Note: Please make sure that all the DVD ripping are just for personal use. Insert a DVD into your Mac's hard drive and run the program, then click File > Load DVD to import the DVD file. DVD Ripper for Mac supports DVD-9/5, IFO and .dvdmedia files. You can also drag DVD files to the program directly. Note that the default settings only read the main movie without the DVD menu. If you want to add the whole DVD movies, please go to Preference > Advanced > Load Contents in a DVD > All Titles. Tip: After the files are loaded, you can select the subtitles and audio track you prefer. 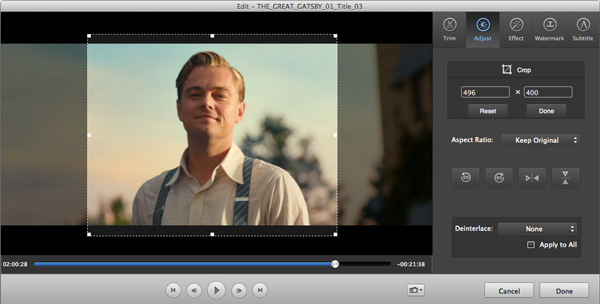 On the right windows, you can preview your files and take snapshots of your favorite movie scenes. Click the small icon (showing your original format) on the right of each video clip and the format list will pop up. You can navigate to choose the format you want from the Common Video list. And if you want to convert your DVD for portable devices, you can find the icon of your device and set it as the output format to rip DVDs to videos with optimized settings for your device. 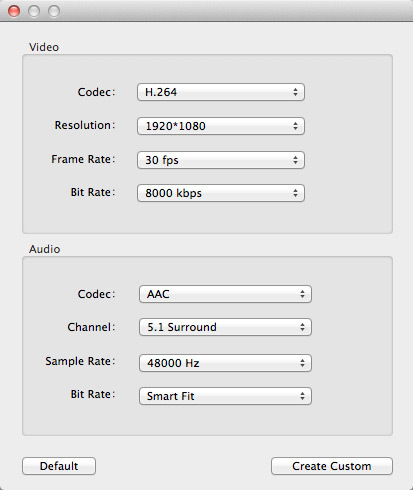 Video presets for iPhone, iPad, iPod, PSP, Xbox 360, Zune and more are provided. After you've adjusted your settings to the way you want, click the Convert button to rip your DVDs. When the conversion process is finished, the converted DVD movie folder in your hard drive will automatically open. Now just enjoy it anywhere you like.